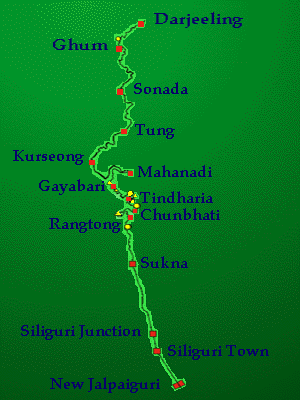 The Darjeeling Himalayan Railway Society was formed in 1997. The Darjeeling Himalayan Railway opened in 1881. The line from New Jalpaiguri to Darjeeling is 55 miles long and rises to over 7,400ft. The DHRS welcomes factual, current information from recent visitors to the line. Information should include dates, locations, locomotive and carriage details, and timings. Any other more general information e.g. special workings is also welcome. If photographs are available for the use of the Society, please detail them and sent to "pro@dhrs.org"
All reports and photos will always be acknowledged and any reports or photos used will be credited.